YBC offers a range of systems that have been developed to increase longevity and reduce maintenance. Upon returning to the bridges the finish crew prepares the bridge structures for the coatings by washing, cleaning, and sanding the bridges for the coating applications while taking appropriate environmental protection measures. The finish crew applies two coats of YBC’s proprietary elastomeric Acrylic/polymer coating or translucent oil-based coating (if selected) blend to all visible surfaces of the abutments, outside stringers, exposed piles caps, all piles, and bracing. The finish crew applies two coats of YBC’s proprietary elastomeric Acrylic/polymer coating blend to all visible surfaces of the hand railing systems, curbing systems. If selected, the finish crew applies YBC’s proprietary superior translucent oil-based coating blend to all visible surfaces of the guide rail and curbing systems. Lastly, the finish crew applies one coat of YBC’s proprietary nano-molecule self-cleaning clear sealer to selected areas as designated by YBC. YBC’s Vehicular Decking System utilizes up to 6” of treated timber and is surfaced with Epoxy & Aggregate to create a lasting 2 layer deck system that is AASHTO approved and skid resistant. The finish crew will prepare the deck for the coatings by washing, cleaning, and sanding the bridges for the coating applications while taking appropriate environmental protection measures. The finish team will apply a double-layer, DOT type III epoxy coating and stone aggregate to the driving surface of the timber vehicular bridge. 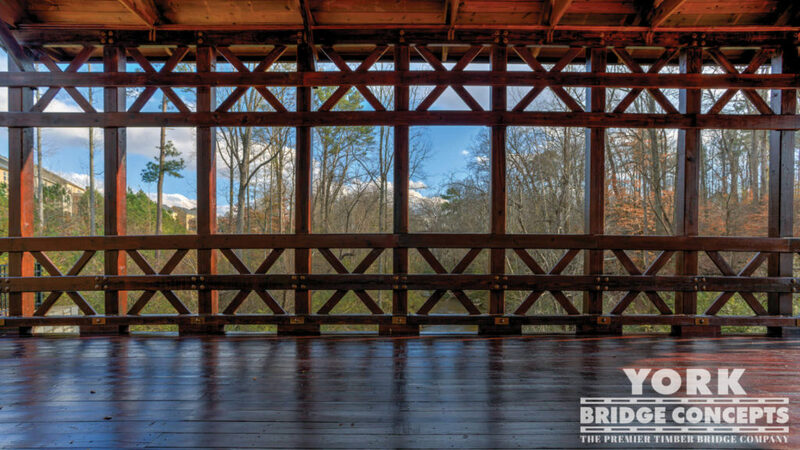 This system is applied over the existing deck of the bridge and provides a skid-resistant coating for vehicles, eliminating the need to repair or replace individual wear deck boards, thereby making the wear decking surface virtually maintenance free. The surface coating will naturally wear (i.e. small cracking/breaching/weathering) with exposure to the environmental elements succeeding the application however this will not compromise the integrity of the bridge or the level of protection provided by YBC’s premium protectant coating. 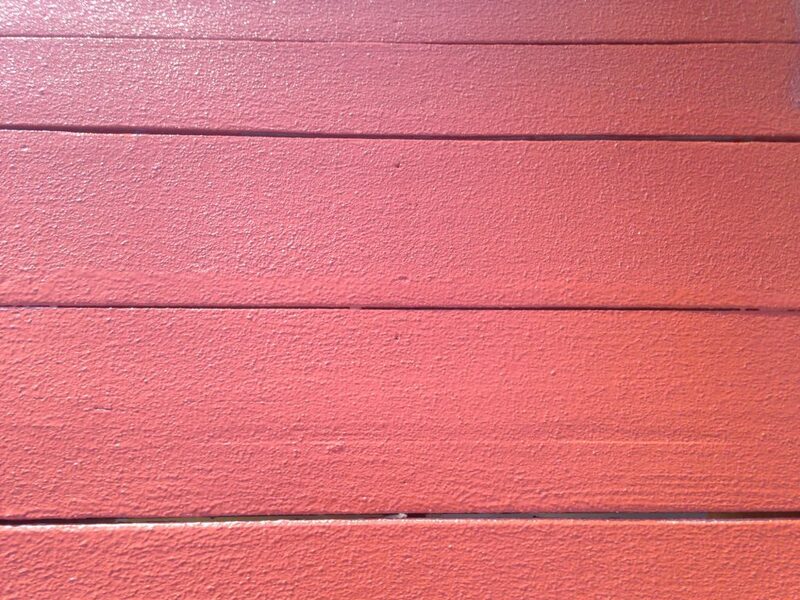 Texture Polymer Surfaced treated wood decking is ADA compliant, fire resistant, scuff resistant, self-cleaning, self-healing, and provides maximum UV-ray protection. The finish crew will prepare the deck for the coatings by washing, cleaning, and sanding the bridges for the coating applications while taking appropriate environmental protection measures. Before coating the deck, the finish crew will use YBC’s proprietary super putty that is compatible with the specified coatings to fill any voids, cracks and or knot holes in the deck boards. The finish team will apply the 5-step proprietary self-healing Textured Polymer Deck Coating. 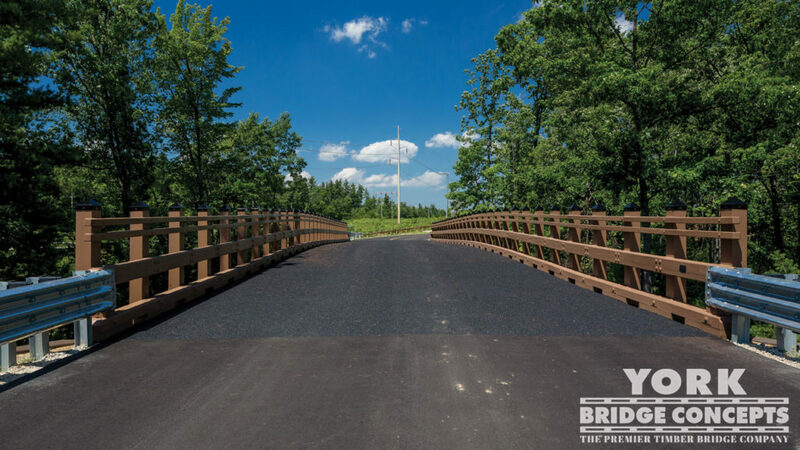 This system is applied over the existing deck of the pedestrian or golf cart bridge and provides a smooth, skid and fire resistant, and maximum UV-ray protected surface. YBC’s proprietary Golf cart deck system utilizes wood or Composite runners over structural heavy timber decking, enveloped with our textured polymer surface – to give you a deck surface that will last. With composite runners, the carts are kept off the structural part of the deck to create a long wearing deck system for golf carts and small vehicles.